I love making basmati rice in the Instant Pot because it comes out perfect every time. This recipe for perfect basmati rice is straight from my cookbook, Indian Food Under Pressure. I wanted to share this “recipe” for basmati rice on my blog because it seems like a lot of people have trouble making basmati rice in their Instant Pot. I’m basing this off of the posts that I see asked in my Instant Pot for Indian Food Facebook group. There are a few things you need to know in order to make a good pot of basmati rice in an electric pressure cooker. As a food blogger, it’s kind of funny to me that I’ve had to test this simple recipe so many times – but trust me, this really is the best way to make rice. So please follow my method – there are only a few steps but each step really matters. Why Make Basmati Rice? And What is Perfect Basmati Rice? Because it’s delicious! Basmati rice is an aromatic long grain rice that has a slightly nutty flavor to it. It’s delicious alongside Indian food – especially north Indian dishes like butter chicken, keema or dal makhani. But really, you can serve basmati rice with any of my Indian recipes. How can you tell when basmati rice is cooked properly? 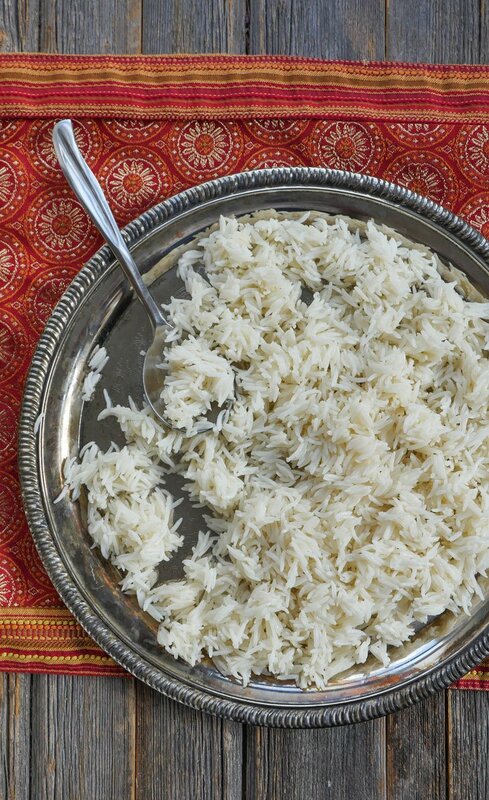 You can tell when basmati rice is cooked properly because the grains are separate and don’t stick together. The texture of the rice should be soft and fluffy – not watery or mushy. Do I need to Soak Basmati Rice before Cooking? My answer to this is YES. Briefly soaking the rice makes a BIG difference for two reasons. Soaking the rice in water allows the fragile grains of rice to absorb a bit of water which in turn helps keep the grains soft and “bendable” if you will. Soaking the rice helps reduce some of the starch which can make the rice sticky. 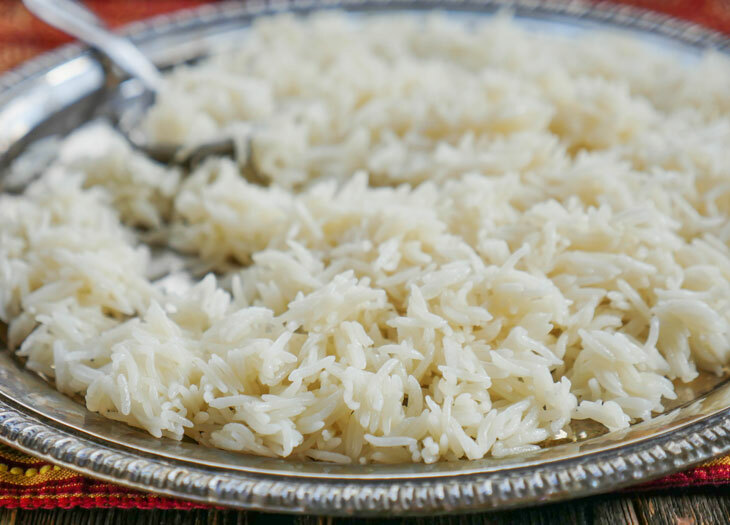 When it comes to basmati rice, you do not want it to be sticky or mushy. To sum it up – by soaking rice you’ll be less likely to have broken grains (thanks to the water absorption) and you’ll be more likely to have separate grains (thanks to reduced starch). Don’t forget the cooking fat. You can use whatever fat you’d like – I typically use oil or ghee. It helps to keep the grains separate. Don’t mess with the ratio! I know 1 cup water might not seem like enough but cooking rice is different in an Instant Pot versus the stovetop. Over the stovetop, water evaporates but in an Instant Pot it does not. When the rice is done make sure to wait 10 minutes, then turn the valve to release any remaining pressure. By waiting 10 minutes, you’ve given the rice enough time to settle down and by releasing any remaining pressure after 10 minutes, you’re allowing a teeny bit of water to escape in the form of steam which I think actually helps prevent the rice from becoming mushy at the bottom. What Type of Basmati Rice to Use? There are many different varieties of basmati rice as well as different brands out there and while I have tested several different brands using this method, the fact is that there’s no way to test them all. You may have to adjust the cooking time according to the brand you use. Please leave a comment letting me know what brand of rice you used and how this dish turned out for you! I have tried and tested several brands and this recipe always works for me. I prefer to make rice using two brands: organic basmati rice from Trader Joe’s (mainly because it’s organic and not necessarily for the flavor) or my family’s all-time favorite rice: Aahu Barah Basmati Rice which I buy either on amazon or at an Indian grocery store if I can find the brand locally. They are not a blog sponsor – I’m just a huge fan of their rice. It is honestly the best basmati rice I’ve had – and it’s kind of weird to say that out loud because who has a favorite brand of basmati rice? But once you try it, you’ll understand why. It’s just different from other varieties of basmati rice. The method for cooking rice below works perfectly every time. I can’t wait to hear how this recipe for basmati rice works out for you! Look at those beautiful fragrant grains just waiting to be served alongside a delicious curry. Basmati rice is an aromatic long grain rice that has a slightly nutty flavor to it. You can tell when this type of rice is cooked properly because the grains don’t stick together. I suggest soaking the rice in cold water because it allows the rice to absorb some water which helps keep it soft and it also helps reduce starch which can make the rice sticky. There are several types of basmati rice and so you may have to adjust the time according to the brand you use. I typically use organic basmati rice or Aahu Barah basmati rice (our favorite!) and the method below results in perfectly cooked rice. 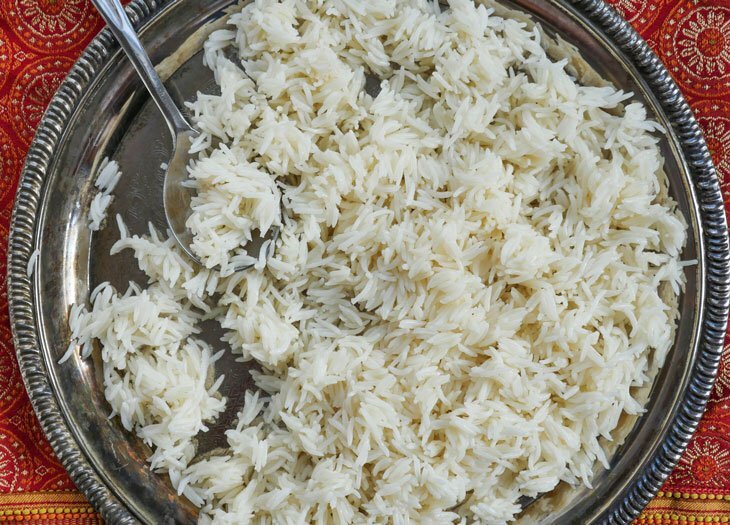 Soak the basmati rice in cold water for 15-30 minutes. Drain, rinse and set aside. Press the sauté button and allow the pot to heat up for a minute. Then add the oil and swirl it around the pot. This will help ensure that the rice doesn’t stick. Add the rice, water and salt to the pot and mix well. Secure the lid, close the pressure valve and cook for 6 minutes at high pressure. Naturally release pressure for 10 minutes. Open the valve to release any remaining pressure. Fluff the rice with a fork and serve. 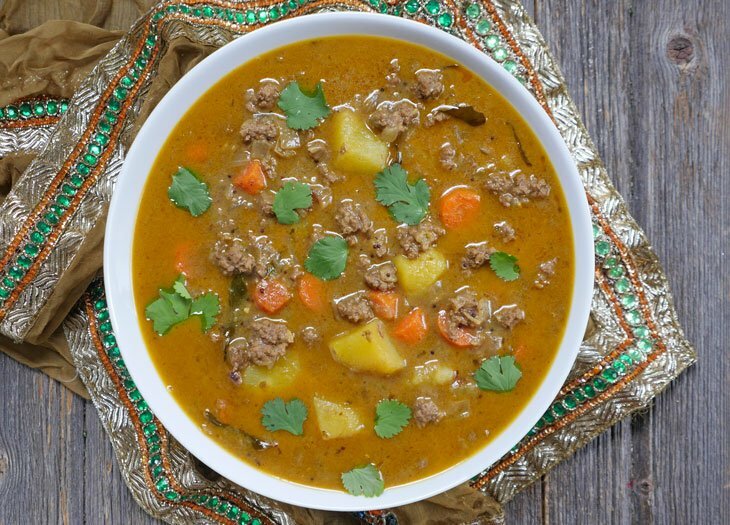 Looking for more delicious Indian Instant Pot recipes? Check out my cookbook Indian Food Under Pressure! Quick question (actually, not only about this recipe but the IP in general): for the 10 minute natural release, do you leave the IP in keep warm mode or do you turn it off completely? Hi Dinis, for the natural release, I don’t do anything – I let it go to keep warm mode automatically 🙂 Hope that helps! I’ve read tests re: Keep Warm on or off. Results were generally IT DIDN’T MATTER. De-pressurize time was basically the same using either on or off. I like to keep it on as it tells me how long it’s been since cooking “stopped” and was ready. Does this also work for Jasmine rice? Yes, definitely 🙂 Add them when you add the oil. My !P has a rice button, but should still onlyuse the High pressure instead of the rice buttn? Use the manual or pressure cook button and adjust the time yourself – no need to use the rice button. Veronica, I’m so happy to hear that, thanks for letting me know how it turned out for you! What if I need to double the amount of rice, should I cook longer? Probably a stupid question! Thanks in advance! You can double the ingredients but keep the cook time the same. It’ll just take a little longer to reach pressure. Hi Ashley, if I use brown basmati rice, would the cook time be the same? The rice certainly turns out good but it also sticks to the pot. I’m having this problem with all web recipes of basmati rice (And I’m following each one to the letter). I’m wondering, do you let the pot go into keep warm mode for the natural release time or do you cancel it after the pressure cooking is done and then release the steam after 10 min? Tyler, did you swish around the oil so it covers the entire bottom of the pot? I let it go to keep warm mode while it naturally releases pressure then after 10 minutes, I release any remaining pressure. Keep warm does continue to cook it a bit, so if my method doesn’t work for you then try canceling the keep warm mode or unplugging the machine while you wait 10 minutes. First time using IP with Tilda Basmati rice. Turned out great. It seemed a little sticky right out of the pot but some frisky stirring with a fork and it’s what basmati is supposed to be–fluffy and tasty! Hello, I am serving 8 for dinner. Please let me know how much rice to use and if I should increase the cook time. Nancy, I’d suggest doubling the recipe – if you do this, keep the cook time the same. It’ll just take longer to reach pressure due to more contents in the pot – the cook time should still be set to 6 minutes with a 10 minute NPR. This recipe worked PERFECTLY! I’ve never been able to make basmati rice and I was so impressed with this recipe. Thank you for sharing! Made it tonight with 2 broken bits of 1 star anise to perfume the oil during the sauté step, and upped the salt to 3/4 tsp. It paired perfectly with a Thai green curry with chicken. This recipe is Nirvana. Thank you! Best rice I’ve ever made! My husband and I have often wondered how Indian and Lebanese restaurants make perfect rice that doesn’t clump. I’ve tried many different techniques and this one finally worked! How would you make similar basmati rice on the stove? Thanks! IF I WANT TO MAKE RICE FOR 8 PEOPLE IN THE INSTANT POT ACCORDING TO YOUR DIRECTIONS HOW MUCH RICE AND WATER SHOULD I USE AND IT THE TIME THE SAME? I have made this three times and it is perfect every time. I did find that the rice stuck to the sides of the instant pot but this was solved with a quick shot of cooking spray on the inside of the pot before I melted the ghee. This is hands down the best basmati rice recipe for the IP. Grains are perfect and so is texture. I have also soaked the rice for longer and it is still amazing. Thank you! Cate, that’s so great to hear! Thanks for letting me know how much you like this recipe 🙂 And thanks for sharing the cooking spray tip too! I struggled with preparing basmati rice for a long time. From making it the traditional way which is very time consuming and still would not come out right every time to just using my Instant pot to steam it. But your recipe worked the 1st time and it was great! If I double or triple the amount rice do I do the same for the oil? Thanks! To double the recipe, double all the ingredients but keep the cook time the same 🙂 Hope that helps! I haven’t made the redolent yet, but am excited to try it out for dinner. I do have to THANK YOU for such detailed instructions for each step. Being new to cooking, it was nice to hear why I had to soak the rice. I’m looking forward to more of your recipes. I tried this recipe with Daawat Basmati rice and it turned out great. You suggested to buy ‘Aahu Barah Basmati Rice’, so bought that. Washed the rice a few times, soaked it per your instructions. However the rice comes out sticky as well as smelly(like parboiled rice smell). Can’t get family to eat this rice. Is this how the rice is supposed to be? Made this tonight to go with your dal makhani and it was delicious! It was a huge hit with my family, even my 2 year old. Can’t wait to try your other recipes! Question….did you get an answer as to whether you can triple or quadruple this recipe? I too am feeding a crowd…. This is wonderful, thank you so much! After soaking, is there a time limit on how long I can keep the rice set aside before cooking? Will, I would probably plan to make it right after you soak it – I’m not sure about keeping it set aside after soaking so I can’t say for sure. Let me know how it goes! Hello! I noticed you write to use your ‘oil of choice’ a lot. What are your top 3 oils of choice,please? Another question for you! Which spices might you add to this dish? Anise seeds? For a cup of rice I usually add about 1 teaspoon of cumin seeds, a couple of green cardamom pods, 2-3 cloves, 1 bay leaf and about 1/2 of a cinnamon sticks. I add all that to the oil then add the rice. If I wanted to cook 1 cup rice PIP method, how long should I cook it? Just made it and it turned out perfect! Thank you. I followed the instructions as stated (including using the Aahu Barah rice) except that I needed a bit more rice so I used 1 1/4 cups rice and 1 1/4 cups water. I left the time the same (6 minutes), let the pressure release naturally and the rice turned out perfectly! Soft, fluffy and not sticky at all. After it was cooked I added a bit of ground saffron and it was delicious. i will definitely do this again. Matt, so happy to hear that! I wonder if she’d like my matar pulao – it’s a bit more flavorful – my son prefers it to plain mainly because of the peas. Anyway, thanks for letting me know how it went! Tried it exactly as you advised and my rice came out perfect! thank you for a great recipe! Used black salt and a pinch of smoked sea salt, olive oil, and 1/2 teaspoon cumin seeds and was the best tasting “plain” basmati rice I’ve ever made. Ive never made rice in IP. Im in the UK but my roots are from Northern Pakistan so we make good Pulao, Biryanis etc. 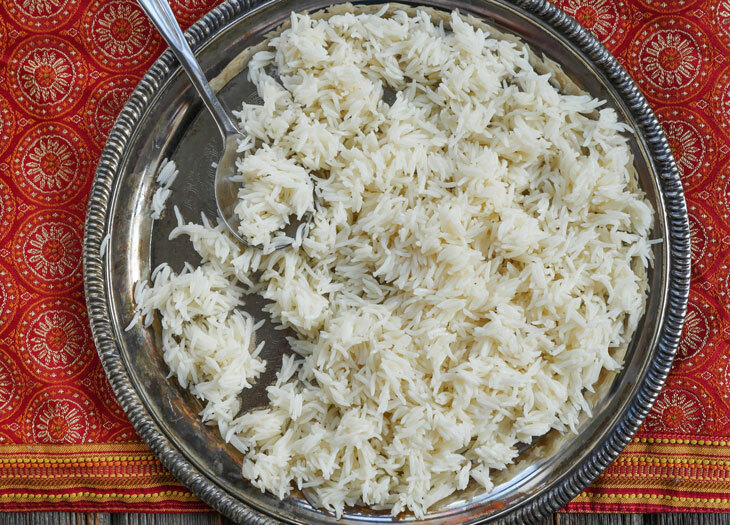 I use Laila Basmati and Kamran Basmati rice but we also use another rice for special occasions. I was wondering if you are familiar with Sela Rice, its a longer grain and requires more cooking time in order for it to be cooked perfect. PS: will try your method this weekend…..fingers crossed! I’ll have to check those two brands out – thank you for sharing! I actually use sela rice most of the time – the brand I link to in the post (my favorite) is sela! 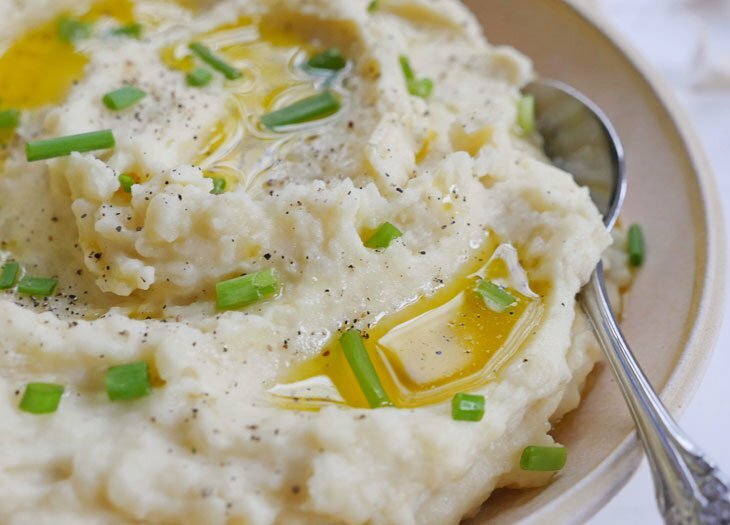 Let me know what you think if you give this recipe a try! Worked great first time I tried it! Just bought Duo 60 Instant Pot today. First recipe I tried. Perfect basmati. I used butter instead of oil. Timing for this worked out beautifully. I have tried making basmati rice in instant pot previously using timing from other recipes and the rice was always either undercooked or mushy and overcooked. This recipe turned out beautiful. Nice grains of rice, just like my mom makes. 🙂 I did add some fresh cardamom, whole cumin, and whole black pepper in the beginning to the ghee to add some more flavor. Excellent! First time trying to cook basmati in my new IP, and this turned out wonderfully. Thank you! Now to experiment with cardamom, what other commenters have been using. This really is the perfect rice when made as written! I’ve tried skipping the soaking step (because I can never leave a recipe alone), and it’s just not as good. I’m not usually a big rice eater, but this recipe has me eating it straight out of the pan! The recipe worked perfectly! Thank you! Do you use the same measuring cup for the rice and water, and if so, what kind!? Thanks! I use a standard US measuring cup – as long as you’re using equal quantities when making plain rice it’ll turn out fine. Hi Ashley – Many thanks for posting this! I’ve tried several different methods for making basmati in a multicooker, but they’ve all resulted in mushy, overcooked stodge. I used your method (doubling up all the ingredients) and got absolutely perfect rice first time. Brilliant! Thank you so much for this. I’ve made it 3 times today as an experiment, gradually increasing the servings. So far I’ve gotten up to 4 cups of rice, 4 cups water and 2 teaspoons salt using your method and it’s come out perfect every time! I’m looking forward to making this for my friends!! Miss eating your favorite Indian recipes now that you're gluten-free? This eBook includes 100+ north Indian and south Indian recipes that have been converted to be Paleo-friendly! 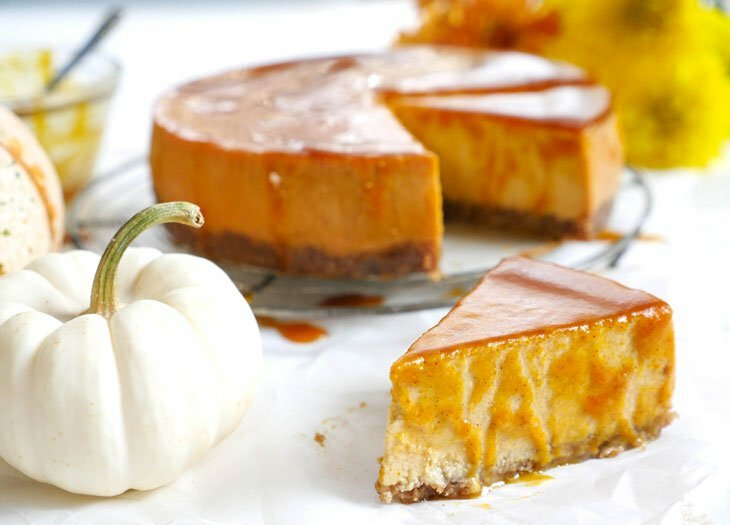 These recipes are so flavorful that you'll never get bored following your new, healthier lifestyle!